In addition to high quality color and rapid print speeds, the Lexmark C543DN printer ships with a 2,000 page color toner cartridge, and helps you save paper and money with integrated duplex printing. 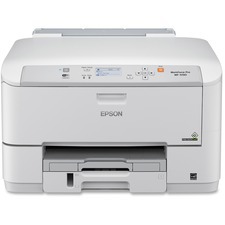 The exceptionally small and quiet CS310n network-ready color laser printer delivers up to 1200 x 1200 dpi printing and brilliant color output at speeds of up to 25 pages per minute. With the ability to print professional color in-house, you'll save time and money typically spent on expensive, outside printing alternatives. An 800MHz dual-core processor, 256MB of standard memory, first color page out in 10 seconds and an efficient networking architecture reduce time spent waiting for print jobs. Paper operations are all accomplished from the front of the printer. An instant warm-up fuser, Quiet, Hibernate and Eco modes minimize noise and save paper and energy. 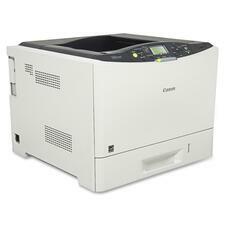 Laser printer also features a 16-character, two-line backlit, All Points Addressable LCD and 250-sheet input tray. Energy Star qualified. Produce vibrant color materials at blazing fast speeds with the network-ready imageCLASS LBP7780Cdn. 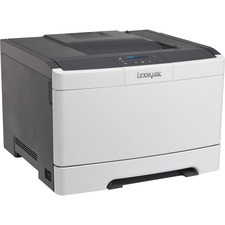 Equipped with a large 500-sheet input tray, 100-sheet multipurpose tray and high-yield replacement cartridges that help to increase productivity while reducing costs, this laser printer offers an array of cost-saving and time-saving features. Automatic duplex printing and efficient energy-saver mode contribute to lowering costs by helping to reduce paper consumption and lower energy costs. Increase office productivity with print speeds of up to 33 pages per minute in both color and black/white. The first print is out in less than 10.5 seconds. The free Canon Mobile Printing app lets you print a variety of file types, web pages, and images directly from your mobile device. Direct Print lets you print PDF, JPEG, TIFF and XPS files directly from a USB. Easily share printing with the built-in Ethernet port. 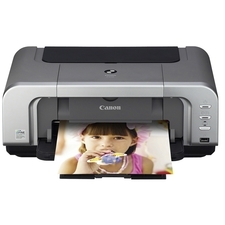 Printer also features a 768MB memory and 5-row backlit LCD. Designed to deliver efficiency and versatility, this powerful wide-format A3+ monochrome laser printer is flexible and easily manageable to meet your office printing needs. Businesses and public sector organizations with small to medium-sized work teams who need to print over sized documents such as engineering designs, CAD/CAM drawings, marketing collateral proofs, and financial spreadsheets, and who also want to get the most value from their black-and-white printer by having A4 and wide-format A3 capabilities in a single device. Powered by Epson's PrecisionCore printing technology, this color printer delivers Performance Beyond Laser, producing professional-quality prints at fast speeds. Built-in networking includes wired and wireless connectivity plus Wi-Fi Direct 6. Printer also prints from smartphones and tablets. Fast output includes speeds of 20 ISO pages per minute. Save on printing - up to 50 percent lower printing cost vs. color laser. Get reliable, low-maintenance, high-volume color printing with a 45,000-page monthly duty cycle, ultra high-yield cartridges and large paper capacity. Setup support and security features provide seamless network integration and administration. The Workforce Pro WF-5190 also features a 250-sheet input tray and 35-page duplex auto document feeder. Energy Star qualified. 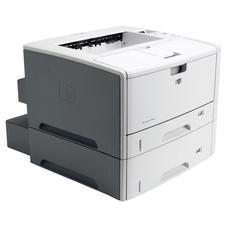 LaserJet printer is perfect for enterprise workgroups of 10 to 25 that print 5,000 to 16,000 pages per month. Intuitive 4.3" touch screen lets users easily navigate through options for fast, simple use. 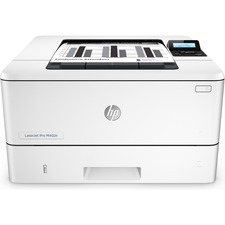 Print uninterrupted for longer periods of time with high-yield LaserJet cartridges (sold separately). 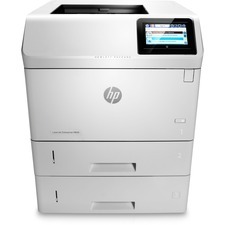 Wireless connectivity allows you to print from a variety of devices without setup or apps. Ethernet connectivity extends your printing reach by allowing you to share printing resources on a network. Easily expand this printer as solutions advance and workgroup needs grow, with add-on, updatable features. Web Jetadmin allows you to easily take command of your printing environment from one central location. Auto-on/Auto-off technology turns your printer on when you need it and off when you don't to conserve valuable resources. 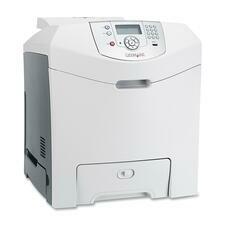 Printer also features a 1.2 GHz processor speed, 1.5GB memory and 1,500-sheet input tray. Inkjet printer is perfect for small workgroups who require professional-quality color with outstanding fleet management capabilities and mobile printing choices. Two-sided printing automatically prints on both sides of the page to let you speed through large print jobs. 2" display with keypad is easy to use and intuitive to help you stay productive. Mobile printing lets you print directly from your mobile device without accessing the company network, from anywhere in the office. Easily take command of your printing environment from one central location with Web Jetadmin. 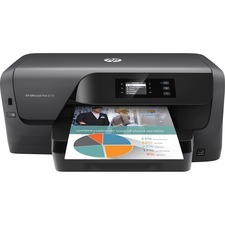 Officejet printer also features a 1.2GHz ARM A9, 256MB memory, 250-sheet input tray, 22 pages per minute and more. The PIXMA iP4200 Photo Printer is a high-performance machine, combining exceptional print quality with advanced convenience features. Also, the ContrastPLUS 5-color ink system - four dye-based inks and a pigment-based black ink - produces true-life photos with a wide color palette, along with laser-quality text. You'll be amazed at your results.